One of the coolest birds in Rocky Mountain National Park is the White Tailed Ptarmigan. These birds are often found above timberline walking and resting on rocks and alpine tundra. During the winter months White Tailed Ptarmigan will become completely white to blend in with the snow. During the spring these birds molt in order to blend in with the landscape as the snow melts. 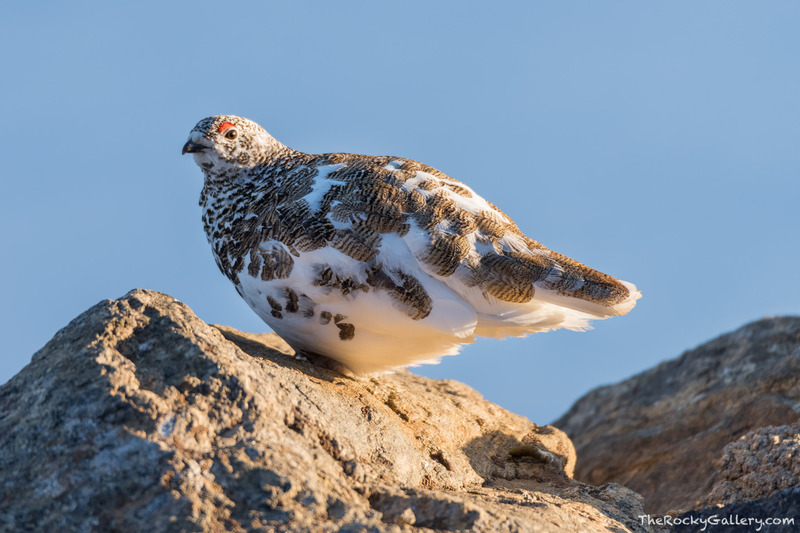 Ptarmigan can often be found on the alpine tundra along Trail Ridge Road. Photo © copyright by Thomas Mangan.